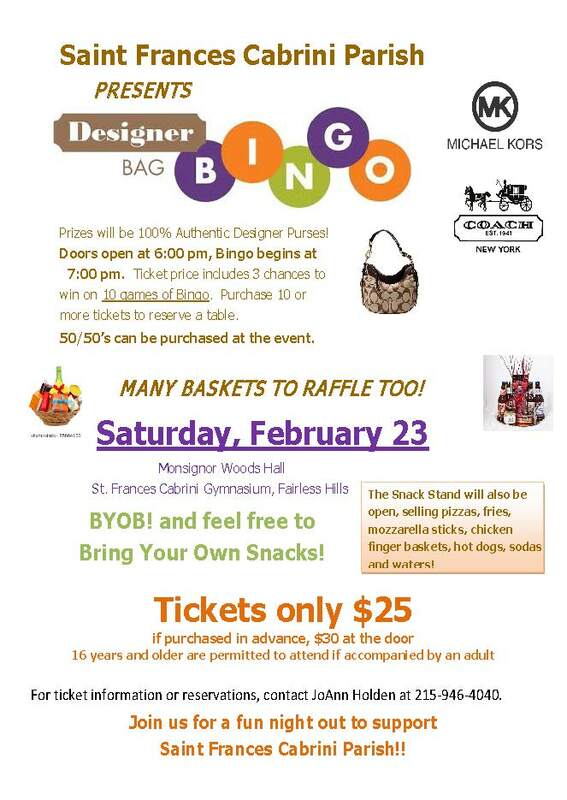 On Saturday, February 23rd Saint Frances Cabrini Parish is sponsoring a Designer Bag Bingo in Monsignor Woods Hall, doors open at 6:00 PM and the first game begins at 7:00 PM. Proceeds will directly benefit our Parish! Tickets are $25 in advance and $30 at the door. Save the date for this popular event! We hope to see you there! For more information please call the Rectory at 215-946-4040.